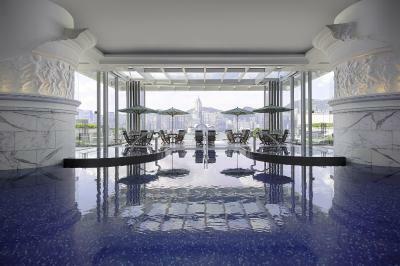 Lock in a great price for The Peninsula Hong Kong – rated 9.1 by recent guests! We ate in the lobby area both mornings. The selection was excellent and the preparation was superb. Best of all was the dining room manager a male with glasses. He greeted us promptly and even remembered our room number and what we ordered the day before. The wonderful person with glasses at the concierge desk. I think she was the senior person helped us book a tour and print our airline tickets. She was not only efficient but extremely pleasant the whole time .Very memorable for her demeanor. The whole experience at this beautiful iconic property was enhanced by the professional attitude of the staff. The people at the Peninsula are as fabulous as the hotel. Excellent location, Excellent Staff, Very Clean rooms, best afternoon tea. Location. Staff were friendly although the Bell Staff takes 20mins to take my luggage upon my check-out on 15Nov and I had to call the operator couple times to chase. Perfect Location, very helpful and well train staffs, atmosphere of the lobby. House keeping staff are excellent. The bed was incredibly comfortable. The towels and linens in general were incredible. It's one of the best hotel gyms I've ever used, and the pool is beautiful. 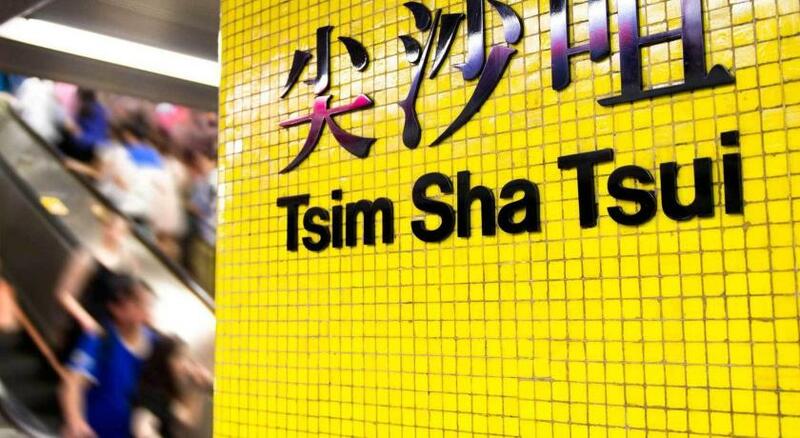 Would love to stay here again on future trips to Hong Kong. Great service, beautiful room. Hotel close to everything we need. Late check out gratefully received. Great location, very comfortable bed and gadgets in room. Great view. Computerized system for controlling the lights and electronics. 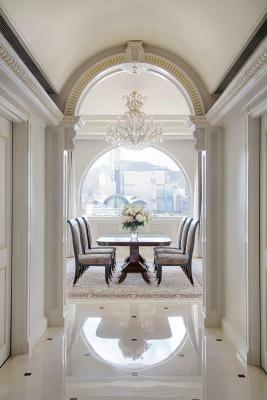 The Peninsula Hong Kong This rating is a reflection of how the property compares to the industry standard when it comes to price, facilities and services available. It's based on a self-evaluation by the property. Use this rating to help choose your stay! 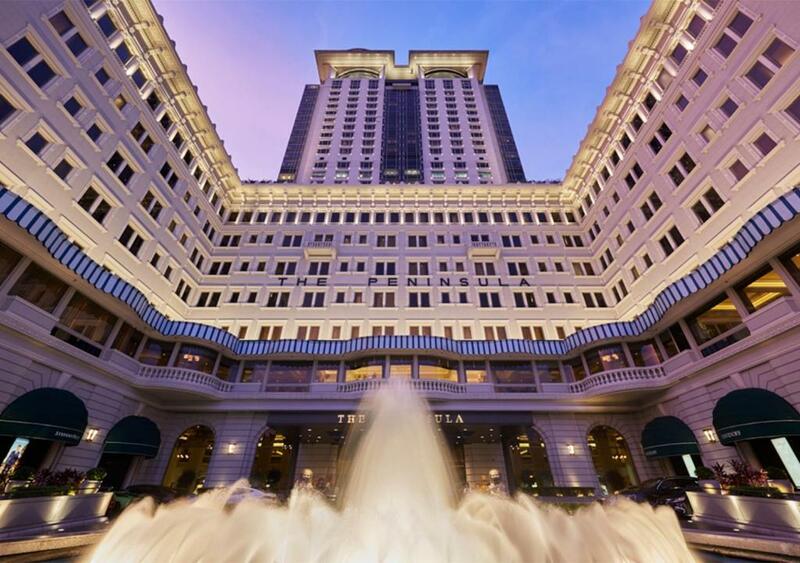 Opened in 1928, The Peninsula Hong Kong offers 5-star service and old world charm on the edge of Victoria Harbor in Tsim Sha Tsui. A Roman-style indoor pool, a 12,000-square-feet spa and 8 award-winning restaurants and bars feature within this luxurious hotel. 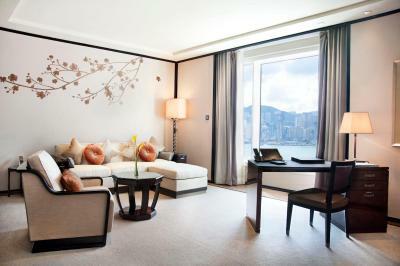 Oriental elegance meets modern luxury in rooms, which overlook the hotel's courtyard, Victoria Harbor or Kowloon. 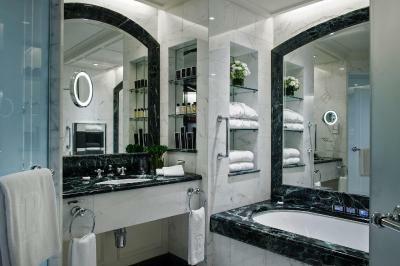 Marble bathrooms are fitted with a spa bathtub. A Blu-Ray player, LED swivel TV and free HD movies are provided. Rooms have free Wi-Fi and also feature an interactive digital bedside panel, LED touch-screen wall panels and wireless telephone with VOIP technology (free long-distance calls). At the Peninsula Spa, relax with a full body massage or soak in the hot tubs. 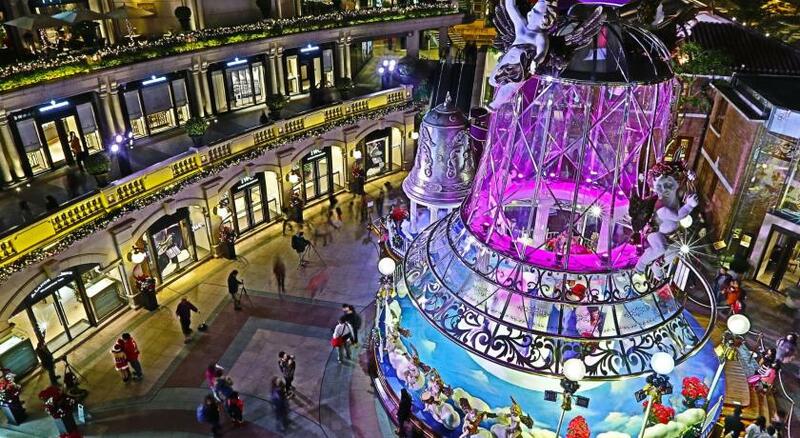 There is also an on-site shopping arcade, and well-equipped function rooms. 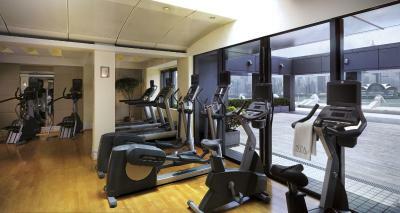 Guests can also stay in shape at the fitness center, or get professional services at the business center. 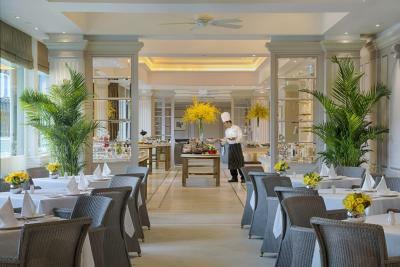 Felix rooftop restaurant features modern European cuisine while English afternoon tea is offered at The Lobby. 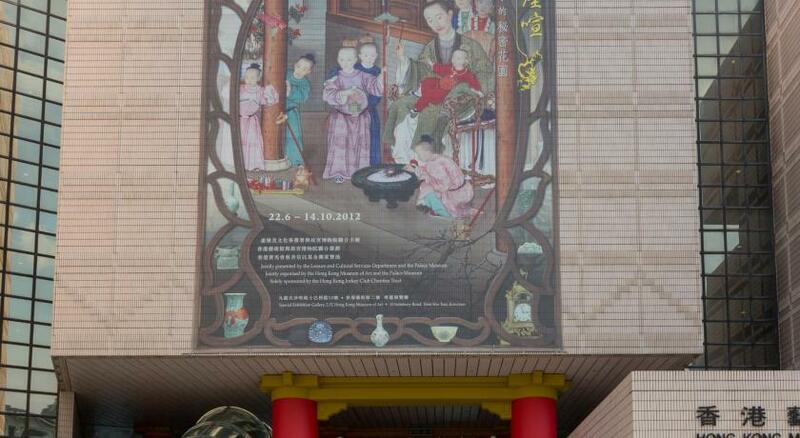 Other options include French, Chinese, Swiss and Japanese dining. The Bar offers a range of cocktails and drinks. 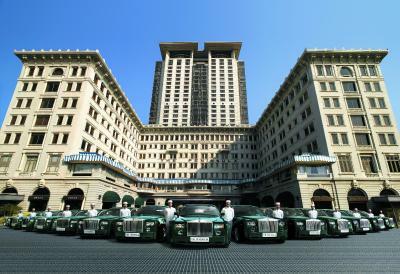 When would you like to stay at The Peninsula Hong Kong? 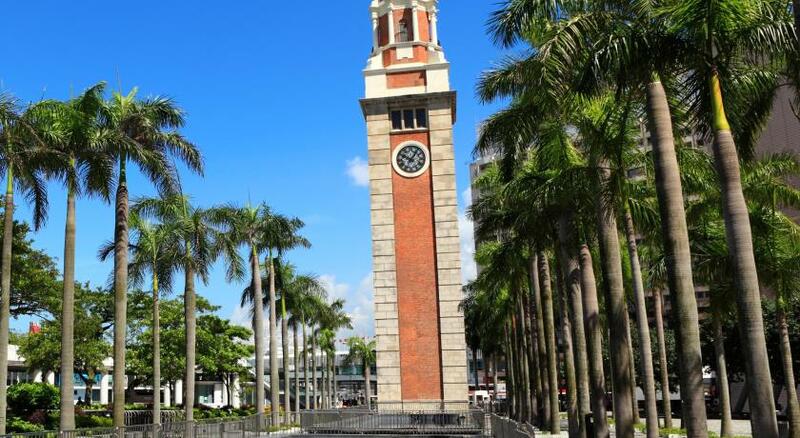 A larger room with views of Hankow Road or the vibrant Middle and Nathan Roads. Interconnecting rooms are available. Please note that for breakfast inclusive rates only applies for maximum 2 staying adults. Extra charges will apply if extra guests need to dine as well. The room can only accommodate maximum 3 staying guests. Child sharing existing beds or baby cot will be counted as one individual staying guests. 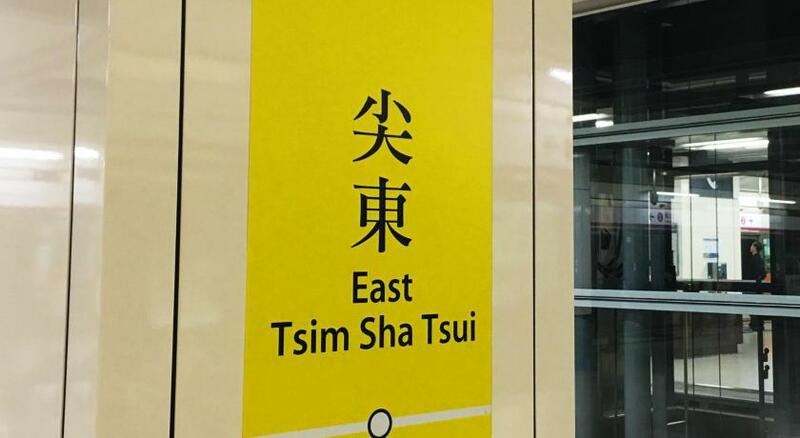 Private parking is available on site (reservation is needed) and costs HKD 1320 per day. 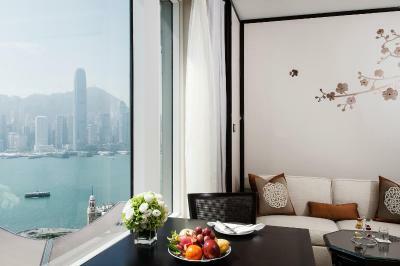 Room features views of Hong Kong's skyline and overlooks the hotel's courtyard and fountain. 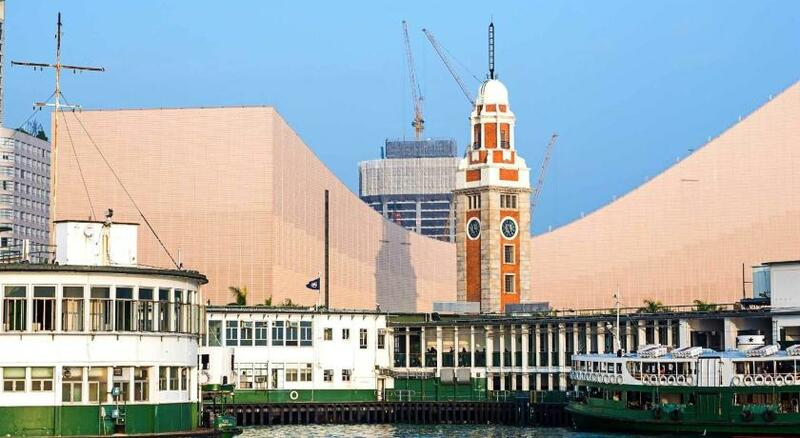 Enjoying beautiful views of Victoria Harbor, this spacious room comes with a home office set-up, great audio-visual equipment and a 24-hour room service. The marble bathroom has a spa bathtub. 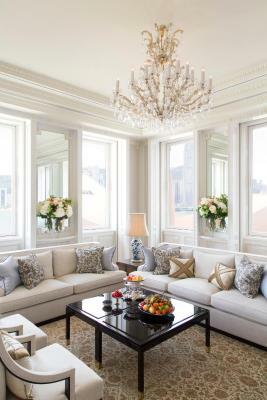 A luxurious, spacious suite offering a separate living and dining area. 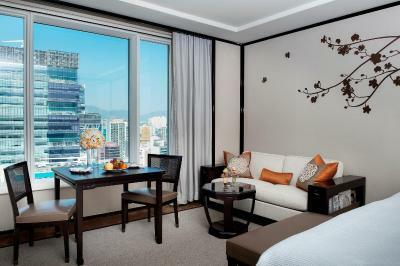 Located on the higher floors of the Peninsula Tower, Grand Deluxe rooms enjoy plenty of natural light and overlooks Kowloon City and the distant mountains. It offers free internet access and luxurious furnishings. Located on floors 17-21, this spacious one-bedroom suite features full views of the harbor and city skyline. 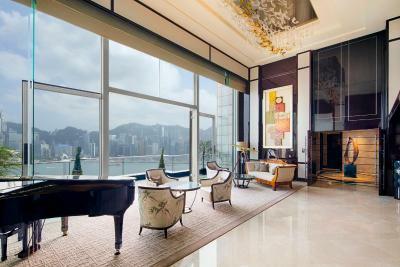 Offering Victoria Harbor views, this suite offers a spacious dining area, workstation and spacious room to relax. It includes a plush, L-shaped sofa by the feature fireplace and Blu-Ray LED TV. 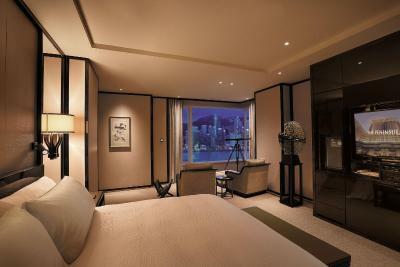 The bedroom features a telescope, twin armchairs and fully-equipped audio visual center and mini-bar. A spacious dressing area with a walk-in closet marks the entrance to the marble-clad bathroom, featuring a corner bathtub with views of the city. Please note that for breakfast inclusive rates only apply for maximum 2 staying adults. Extra charges will apply if extra guests need to dine as well. 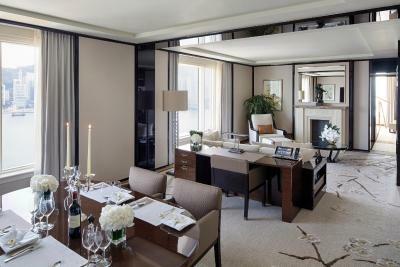 Suite can host up to 8 guests for dinner or drinks in the dining area. A separate bedroom features audio-visual equipment. This quadruple room has a satellite TV, air conditioning and a seating area. 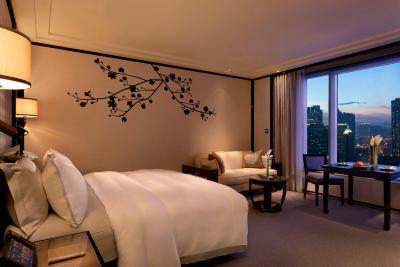 Please note that 2 Deluxe Rooms are jointly next to each other, without a common door. For the Adjoining Room, please request after your booking and it is subject to availability. 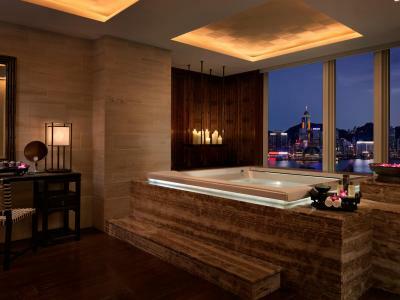 Located on the higher floors of the Peninsula Tower, this room features a spa bath, a seating area and a CD player. 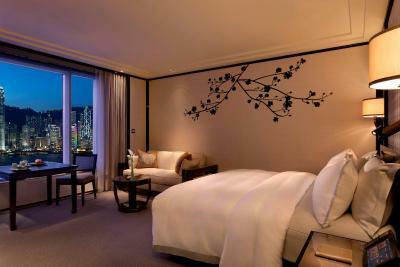 Please note that 2 Grand Deluxe Rooms with Kowloon View Rooms are jointly next to each other, without a common door. For the Adjoining Room, please request after your booking and it is subject to availability. 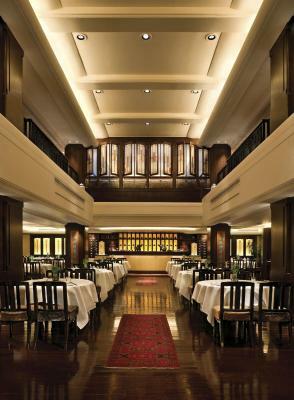 House Rules The Peninsula Hong Kong takes special requests – add in the next step! 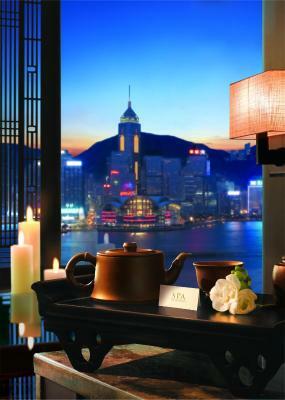 The Peninsula Hong Kong accepts these cards and reserves the right to temporarily hold an amount prior to arrival. Please note that extra bed rate charges apply to any extra guests, whether or not an extra bed has been requested. The property also accept Alipay and WeChat as a payment method upon check-out. 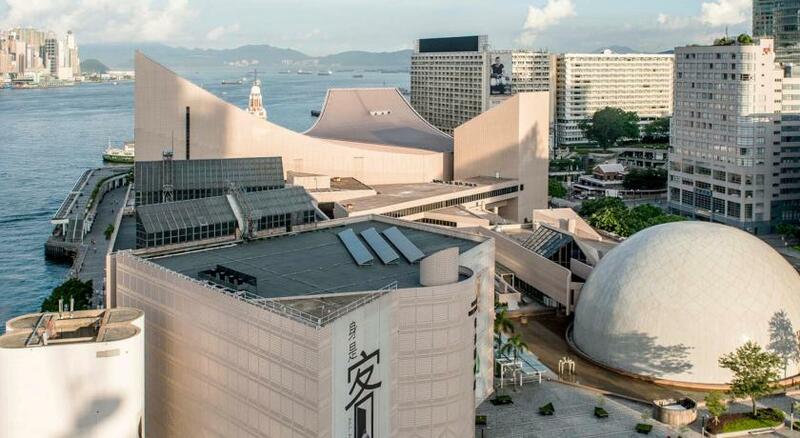 Please kindly note that the sun terrace on the 7th floor will be closed from 18 March 2019 and will re-open in mid-July. there where some issues with the key but it was fixed the next day. They provided a smoking room or at least a room where someone smoked in, when I complained they sent up an air filter ! Didn’t meet my expectations ... never been chased by a member of hotel staff because of an umbrella ! There was a dreadful smell of sewage in the right side of the foyer (as you enter the hotel) everyday we were there. Gross. Not sure if there was a particular problem but the hotel isn’t cheap and no one mentioned anything about plumbing works. Very smelly. 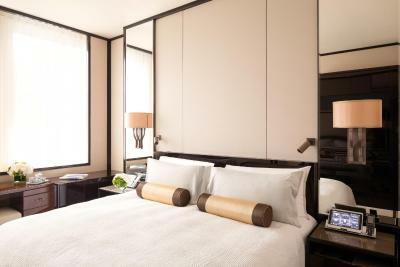 Rooms are just fabulous as well as the food in the hotel and service is terrific. Wonderful pool. This hotel is top notch. 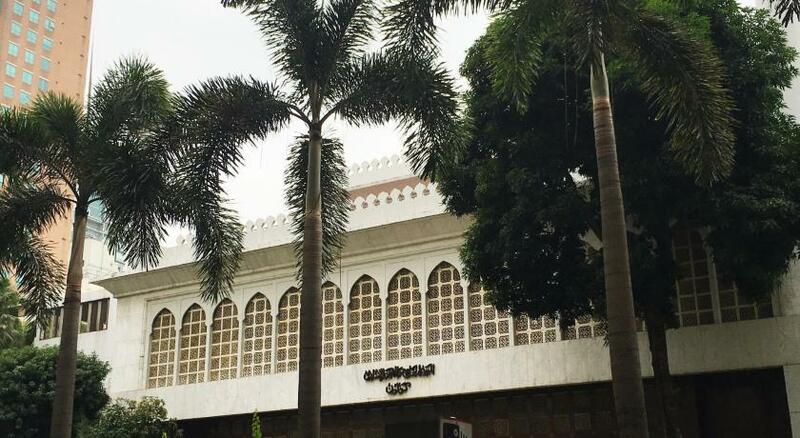 It is a very comfortable hotel and the staff are very friendly and professional. There was only one staffer who did not understand me when I found myself a little lost. 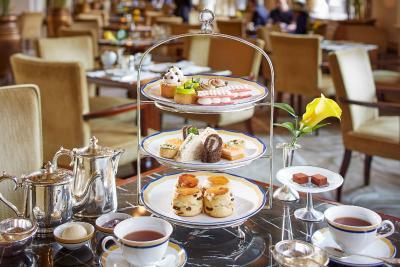 Harbour view, afternoon tea, everything! The toilet bowl was too low. Difficult for a senior citizen to use. 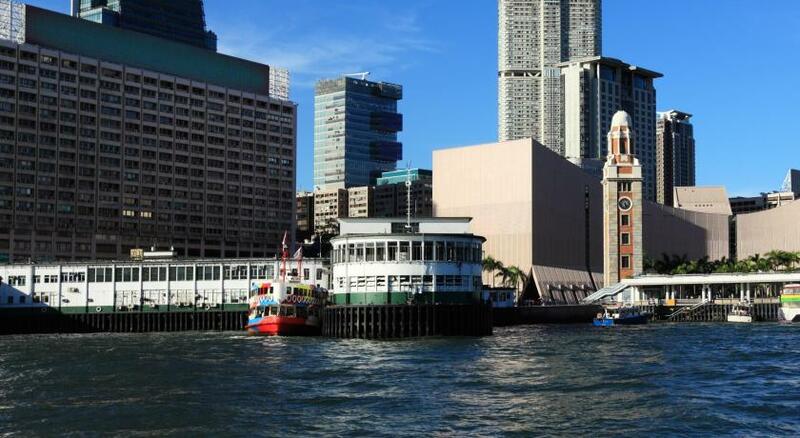 We have been staying at the Pen very often in the past so it’s our favourite hotel in HK. 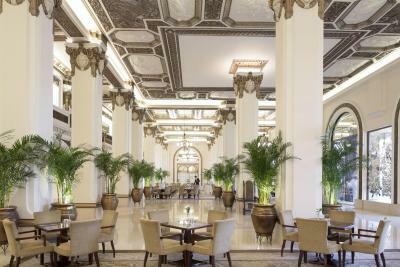 The Peninsula exceeded all of my expectations and it was truly a luxurious treat to stay at this hotel! The fabulous staff are welcoming, friendly and go 'above and beyond' to make sure your stay is relaxing and memorable! The hospitality, decor and the toiletries.